Ellie turns six this week and for the first time I've actually found it quite tricky to buy presents for her this year. It didn't help that she gave me very little direction and sweetly suggested I surprise her! I thought it would be useful to share what we've got her in case anyone else is in need of some gift inspiration for six year old girls. Ellie loves unicorns and has asked for a 'unicorn' birthday party this year so I had to get her this gorgeous unicorn from Jellycat for her bedroom, it will be perfect for sitting on a shelf next to her bed. 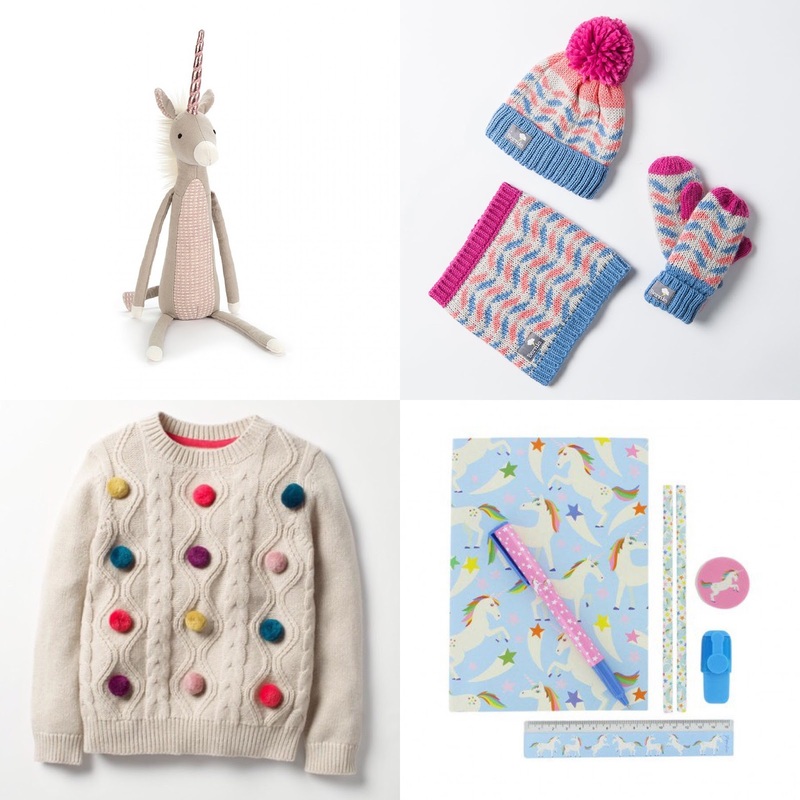 Being a December baby some snuggly knitwear is always good and Ellie really likes bright and fun clothing. Bernie and the Beanpole have some amazingly cheerful and cosy hats, snoods and even headbands which I know she'll love. I've also had my eye on this pom pom jumper from Boden and snapped it up for her in their recent 30% sale. It's even nicer in real life and will go with so much of what she already has. Ellie is stationary mad and always writing or drawing something. I popped into Paperchase and they had some amazing unicorn bits and bobs which were just perfect. Ellie really loves creating things and last year at the school fair she bought a pre loved box of Aquabeads. She asks to make them all the time so we have bought her this Aqua beads Beginners Studio everything she needs to make whatever she likes! 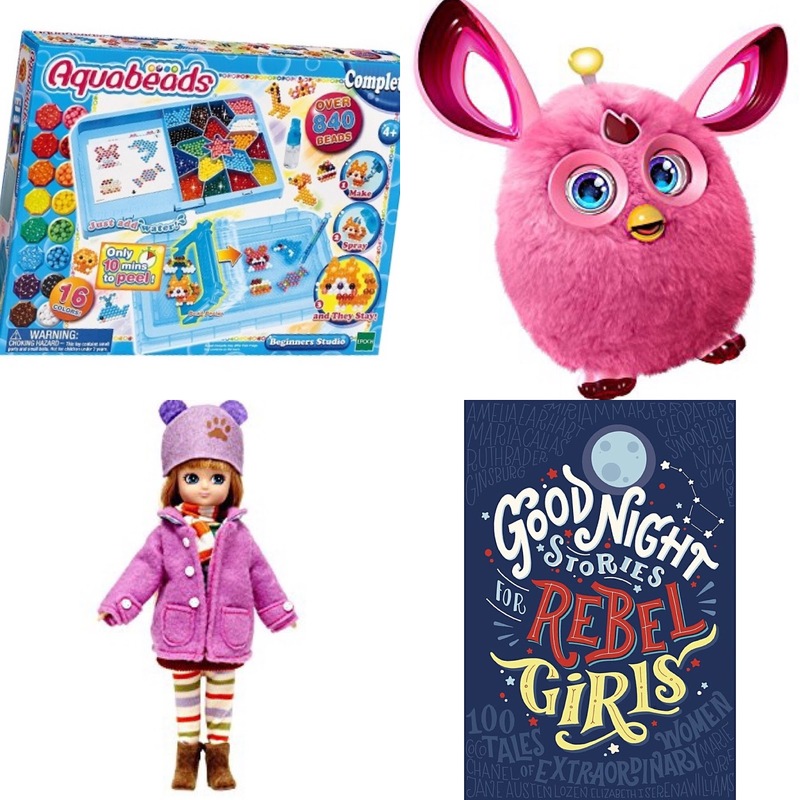 We always ask the girls if there is anything they would like for their birthday and Ellie mentioned A Furby Connect. If you're not familiar with them they are interactive pets which connect to an app for additional play value and I think she'll have loads of fun with it. Ellie has grown out of playing with baby dolls but still really likes playing imaginatively with little figures. I love this Autumn leaves Lottie Doll which the perfect next step for her. Modelled on a child and with emphasis on adventure and the outdoors she's a great companion for a six year old. Finally I've bought Good Night Stories for Rebel Girls, a book I've heard so much about and one which I hope will inspire Ellie to reach for the stars and be whatever she wants to be. I'm really looking forward to reading this to her at bedtime. I hope that has given you a little bit of inspiration. Lapland UK has been on my Christmas 'to visit' list for some time. We were so excited when the team invited us to come and experience the magic this year and share it with you. It is one of the most wonderful places we have ever taken the girls to and has left us all feeling unbelievably festive. 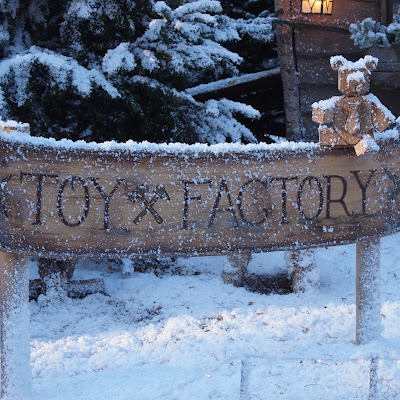 Lapland UK is much more than just a visit to see Father Christmas, it's a fully immersive Christmas adventure that I can safely say we will never forget. A few weeks before our visit, the girls received the most beautiful letters from Father Christmas himself. The letter asked them if they would come and help the elves make some toys due to so many children being on the good list this year. We actually gave them to them just a few days before our visit to give them enough time for it to sink in, but without too many sleeps to count down! Seeing their little faces as we read the letters to them was such a lovely moment, they were just so excited. Their excitement as we left on the morning of our visit was just infectious and it only grew throughout the day. From the moment you arrive in the Enchanted Wood (not far from Ascot), to the moment you reluctantly have to leave, you are surrounded by Christmas cheer. 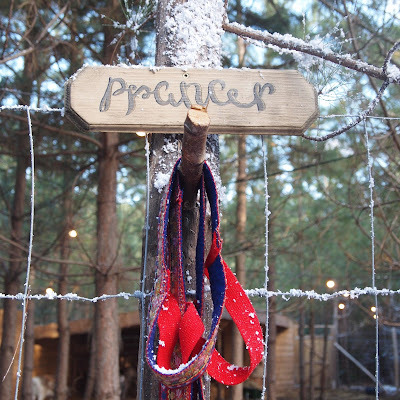 We were merrily greeted by elves under twinkling lights who explained everything we needed to know about our day. The elves issued us with our Lapland passports and prepared us to pass through the magic door into Lapland with stories and songs. When the doors opened to reveal a snowy Lapland scene the girls were amazed and couldn't wait to go through. As we walked down the snowy path we were welcomed to the toy workshop, with a little door for the 'small folk' to climb through. The girls were thrilled to make a mummy and baby polar bear each to help the elves with their toy backlog. They needed a little help with this but it was such a lovely activity to share with them. They loved adding the hearts to the bears so that they could love their new owners. I did wonder whether they would be happy handing them over, but they happily carried them to the present wrapping room with proud smiles. The highlight for me was when they gave each child a pair of 'wish glasses' to put on and looking up at the toy workshop ceiling they were able to see hundreds of children's Christmas wishes through them in rainbow form above. Leaving the toy workshop through a twinkling tunnel of trees we reached Mother Christmas's kitchen where the children listened to a Christmas Story and heard all about Father Christmas's love of gingerbread. In both rooms the children are encourage to sit separately from their parents which aged 5 Ellie was happy to do, but Phoebe (3) and Lottie (2) were not quite so sure and needed a little reassurance. This was remedied by choosing tables for the activities close to the edge of the room where there is space for 'big folk' to stand so we could be close by and help them as needed. The attention to detail in the rooms is amazing, my favourite was the cooking pot on the stove behind Mother Christmas with a spoon that was stirring all by itself. The girls decorated gingerbread Christmas trees with icing and sweets and were given a little bag to take them home in which they really enjoyed. After receiving two stamps on their passports for completing the tasks we then had some time to explore the Lapland Village and collect their elf bells from the Emporium which they were awarded for helping. The village is everything childhood Christmas dreams are made of with so much to explore. There are huskies to meet, a toy shop, a sweet shop, a post office and ice skating rink. 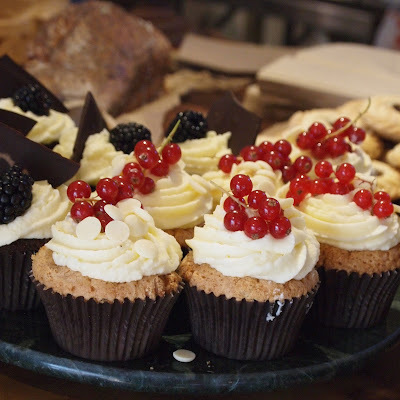 There are also several places to enjoy a treat, or warm up with a hot chocolate. The village has a lovely bustle to it with elves wandering around talking to the children and there is Christmas music playing. 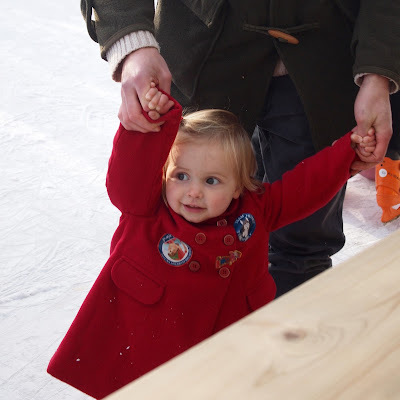 Ellie and Lottie had a go at ice skating with the help of daddy and a penguin while Phoebe and I exchanged some money for some Elf Jingles (the currency in the village). The exchange rate is the best I have come across with £1 giving you 1J and you can change back any you have left over at the end! Phoebe was over the moon with her elf jingles which were given to her in a little red pouch and really added to the feeling that we had been transported to another world. We spent them in Pixie Mixie's sweet shop where Ellie and Phoebe loved filling up a generously sized cup with pick and mix sweets and Lottie chose a chocolate lolly. Although there is plenty to buy at Lapland UK there is no hard sell at any point which I think is great. We just had time to pop into the post office and write a letter to Father Christmas on special Lapland paper. If we were to go again I would probably write our letters in advance and take them with us as the girls spent quite a bit of time deliberating what to put on them and it was perhaps a little overwhelming for them. In the end each of them asked for one of the cuddly polar bears which they had made earlier in the toy workshop, a request which I am sure Father Christmas will be able to meet! There was just so much to explore in the village and even though we had an hour and a half there before our time to meet Father Christmas we didn't quite manage to see it all. 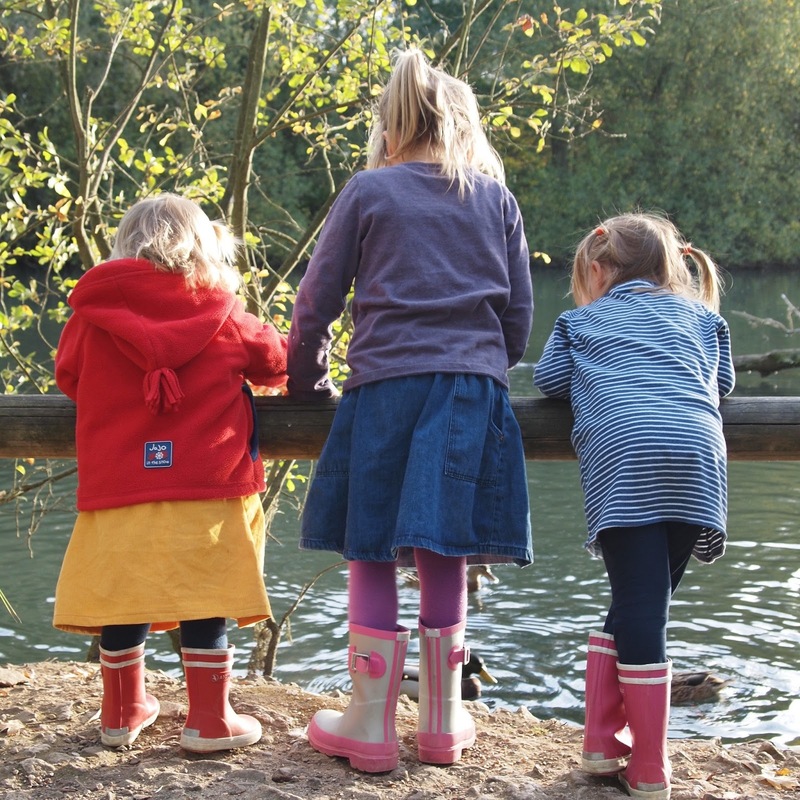 I felt I had to rush the girls a little at points, especially as we had to squeeze in something to eat as it was lunchtime and would probably choose a slot that wasn't over a mealtime for this reason next time. At two o'clock we made our way out of the village along a winding and very serene pathway, it was quiet and calm and absolutely beautiful. There was no queue and we seemed to have left the crowds behind in the village. 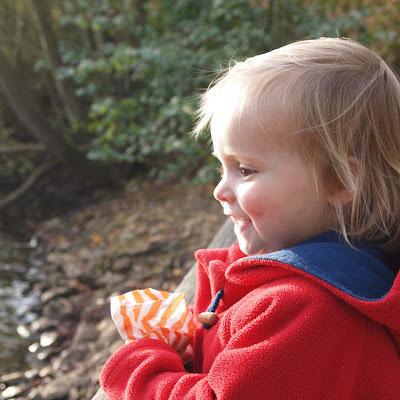 It was so peaceful and just allowed us to enjoy the magic together as we walked to find Father Christmas. Along the way were tiny elven houses and Father Christmas's reindeer and sleigh to see too, all building the anticipation and magic even more. Upon arriving at a wooden lodge we sat very briefly before being escorted just the five of us to meet Father Christmas. We waited outside while the elf checked he was ready and at that moment I had tears in my eyes watching my little ladies willing the door to open with wide, excited eyes and their faces beaming with grins. Father Christmas was so lovely, he welcomed the girls like old friends, knowing their names and talking about things they had done recently (thanks to a little bit of magic when we registered our booking). He showed them their names on the good list and presented them each with the most beautiful cuddly huskies. They were quite simply in awe and watching the scene from the corner of the room the wonder on their little faces was just so magical for me. 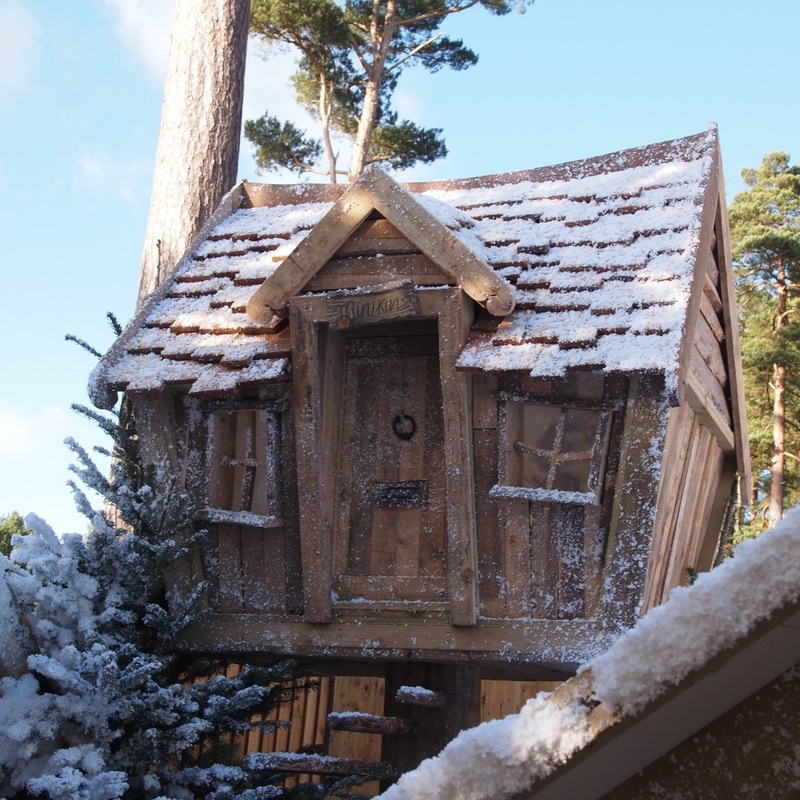 Lapland UK is a place that beautifully captures Christmas through a child's eyes, where imagination becomes reality and where very special memories are made. We didn't want to leave and as we made our way back through the magic door into the Enchanted Wood I had quite forgotten that it hadn't snowed back in Ascot. Tucking the children into bed that night the girls told me it 'was the best day of their lives' which when people have asked me if I feel the experience is worth the price tag is all the answer I need. 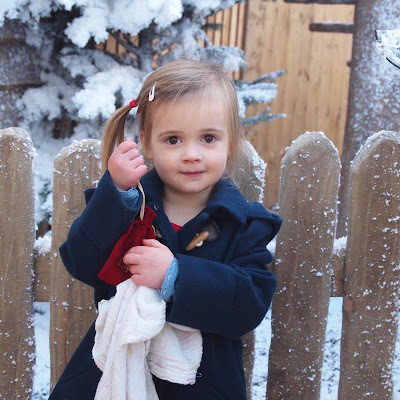 A day at Lapland UK doesn't come cheap at a cost of £65 and upwards per ticket, however, when you consider what is included it is actually excellent value for money. A very large helping of Christmas cheer AND an extra large dose of Magic! You can find our more about Lapland UK HERE. * We were kindly invited to Lapland UK in exchange for an honest review. "Side by side or miles apart, sisters will always be connected by the heart." I will absolutely never tire of seeing my three girls in a row. I have taken to stepping back and observing them as much as I possibly can and just adore watching their bond grow each week. The dynamic between them is constantly evolving; they are so close and really look to each other for help, support and best of all for company. The photos I took this month were of a very simple, everyday moment - feeding the ducks at our local park. With a bag of food each they stood together and threw their grain into the pond, pointing out ducks at the back who might need some to one another, sharing their grain out and chatting to one another. Ellie takes her big sister role very seriously and is always checking her little sisters are OK and if they need help. I love this caring side of her personality, she is such a little mother hen. In a few weeks time she's turning six and I've noticed a real change in her maturity. She is so keen to learn and asks so many questions and is really enjoying school. We've just had her school report sent home and the effort she puts into everything is something that has made us so proud. 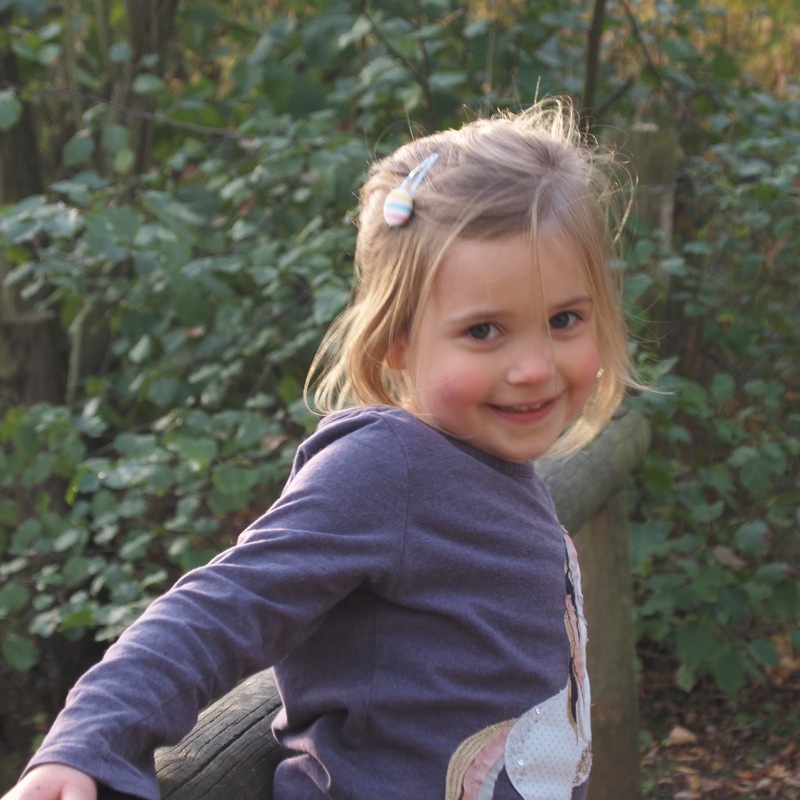 She's recently been elected onto the School Eco-Council and has an increasing awareness of the world around her and outside of her little bubble. She can now read really fluently and often reads a book to one of her siblings, I love nothing more than standing in the doorway and listening to these very simple but very perfect moments. Empathy is something she has always had, but this month her understanding of the importance of being kind and helping others really shone through on Children in Need day. She is constantly colouring and drawing, I have a huge pile of 'I love you mum' notes that I just have to keep. As hard as it is letting go of the baby days (which are really on their way out in our house) these are the moments as they grow which just make your heart burst. Phoebe has also really changed lately and is growing up so quickly. This last year with her at home before she goes to school is flying by which reminds me that I really need to get on and do her school application... She has started trying to write her name and has learnt several of the letters in it. I'm feeling rather awful about calling her Phoebe as phonetically it just doesn't make sense to her, but we are getting there. She is really enjoying her getting ready for school sessions at playgroup and so proud of everything she brings home. She has just learnt to draw rainbows, everything she creates has one at the moment and it really makes me smile as she is my little rainbow. Phoebe has really benefited this month from some one on one time with daddy which she now has every Wednesday morning while Lottie goes to play school. They go swimming together and her confidence is really growing and it just brings her so much joy. She is such a water baby, constantly under the water like a mermaid. She's brave and determined and knows what she does and doesn't want and I really admire that about her. She plays so well with Lottie, often making up little games that the two of them play, I really love watching them on Fridays when it is just the three of us. She's still such dinky dot but so keen to grow up, telling everyone and anyone that she will be four in January. 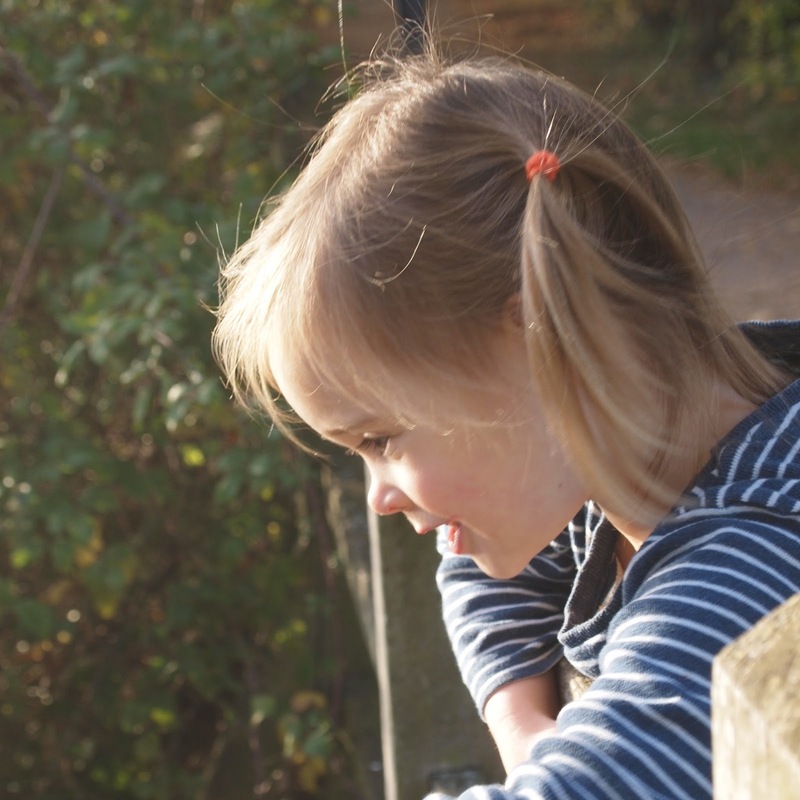 The biggest change within the siblings this month has been Lottie's transformation from a toddler to a little girl. Oli and I were looking at some photos I took of her and noticed how different she is looking all of a sudden. She is the funniest little character, chatting confidently away and really looking up to both her big sisters. Her sleep is still a little erratic, she still likes to come in our bed or have one of us lie on her bedroom floor once in a while but generally she's sleeping in her own room. She has however much to my dismay pretty much dropped her naps, we are lucky to get the odd car nap or she might doze off in the pushchair... she just doesn't want to miss a moment. She loves Peppa Pig, playing shops and being outside in our playhouse. She loves to make other people laugh and if she finds something that we laugh at you can guarantee she'll do it on repeat for the rest of the day. Oli's Dad recently asked us if she was ever sad as she has such a sunny disposition, I have to say it's very rare but we certainly know about it when she is not happy. I hadn't meant for this update to be quite so lengthy but with three very different personalities and so much to document it's tricky to keep it brief. As they change and grow I'm more conscious than ever to record these tiny details which I might forget. 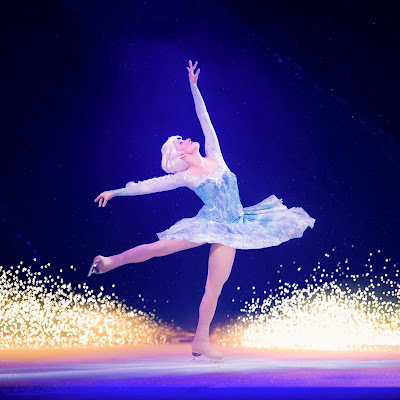 We took the girls to see the new Disney on Ice show 'Passport to Adventure' last month and it did not disappoint. If you are looking to share a sprinkle of Disney magic with your children we would highly recommend it. We had been to a Disney on Ice show before so the girls were so excited to be going again and were counting the sleeps. They love all things Disney so it was such a wonderful experience for them from the moment we arrived at the venue. Passport to Adventure takes you on a trip to visit some Disney favourites such as The Little Mermaid, Peter Pan, Frozen and the Lion King and brings them to life in the most fantastic way. Minnie, Mickey and the gang also make an appearance as they take us round the world with them on a wonderful journey. The stories are so creatively told and the ice skating lends itself perfectly to the fluid movements of mermaids and fish swimming or Peter Pan and Tinkerbell flying around trying to catch his shadow. The ice provides the perfect stage and with lighting, music and special effects the scene seamlessly changes from a savanna in Africa to a pirate ship in Neverland. It is of course is the perfect setting for a retelling of Frozen! The show is totally captivating and held the girls attention entirely. Aged five, three and two they were in awe of the skaters and to see their favourite characters right there in front of them. The audience are encouraged to join in by dancing, clapping and singing along to the show which features plenty of songs from the movies. There is so much for them to look at and keep them entertained. The cast are incredible and perform with such energy, enthusiasm and skill and they really engage with the audience making you feel part of the show rather than just a spectator. Their costumes are amazing, so bright and colourful with plenty of sparkle which our children loved. We really enjoyed the show too and seeing the looks on the girls faces as they waved at Minnie and Mickey was really special for us. There are so many lovely surprises in the show from special effects such as bubbles when you are under the sea with Ariel and snow in Arendelle. 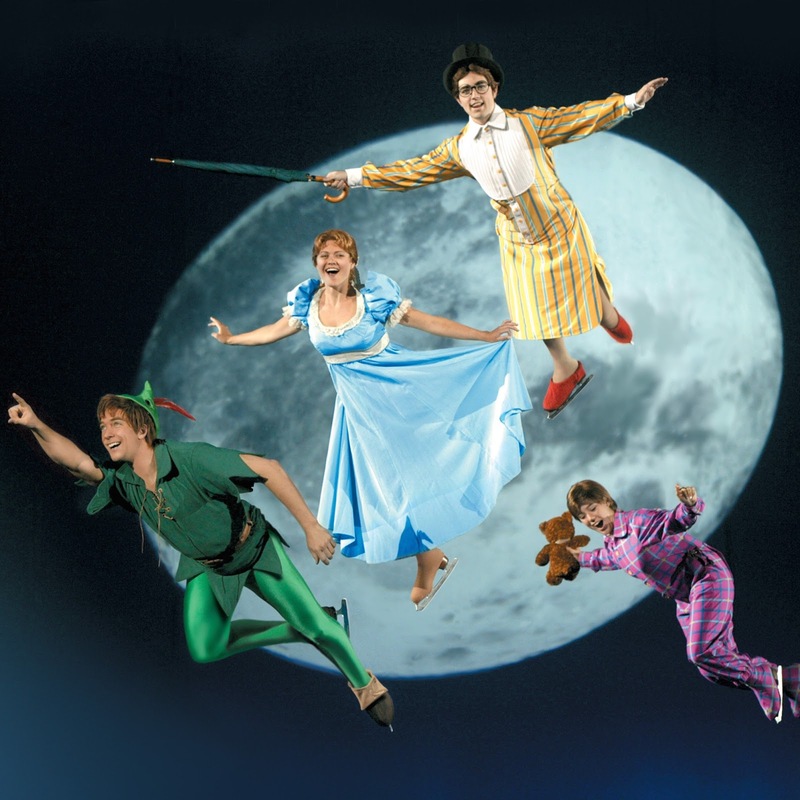 Our favourite moment was Wendy, John and Michael flying off to Neverland with Peter pan, the girls sat open mouthed as they watched them high above us. There were so many of these wow moments along with plenty of comedic ones too which made the girls giggle. The show is about 2 hours in duration with a 15 minute interval. We thought it might be cold in the arena so had packed lots of layers but it was absolutely fine. We had told the girls before we left which characters they might see and they chose one of their Disney dolls to bring with them to watch the show too. There is lots of merchandise available to buy and although very lovely, it is very expensive, so make sure you budget for this or bring something from home like we did. There are refreshments available to buy there too including ice slushies and popcorn but again these come with a premium price tag so we took some treats along for the girls to have at the interval. If you're looking for something special to do with the children in the lead up to Christmas then this would be perfect. The show really is fantastic and excellent value for money for what it is, we had such a brilliant time. Passport to Adventure is touring the country, finishing in London on 30th December 2018 and the brand new show 'World of Enchantment' is touring in the Spring next year. You can find out more and book tickets for both HERE. We were kindly gifted tickets in exchange for an honest review. Children's rooms are my favourite to put together in our home, I just love creating a gorgeous yet practical space for my girls to play in or sleep in. We've recently added some wonderful items from the new confetti range from Great Little Trading Company to the girl's rooms which have made a huge difference. Some small changes and additions have completely changed the look and feel of the rooms without us having to decorate. Ellie and Phoebe share a bedroom which we've added a new rug, a beanbag and some more toy storage to, all of which have made the room a much more inviting space to be in. The Confetti Spot Rug has made the biggest difference to the room and I absolutely love it. The carpet in the girl's room, although neutral, isn't what I would have chosen and is due an upgrade. The generous size of the rug (120W x 180L) means that along with the coverage that the furniture in the room gives there is now very little carpet on display. Made from 100% hand tufted wool it's unbelievably soft to walk on, sit and play on and even lie on as Ellie and Phoebe have taken to doing! It feels and looks so luxurious. It's colourful enough to inject some fun into the room for the children but neutral enough to feel part of our family home and would work with most colour schemes due to the accent colours of the confetti spots. It's really lightened up the space and also serves a feature for the middle of the room which with the girls beds in opposite corners of the room had left a bit of a no mans land previously. It's such a simple change with a really big impact, I couldn't believe how much difference it made literally in minutes. The addition of some stackable toy storage has meant that the girls now have somewhere to keep some toys to play with when they wake up in the morning or while we're getting ready for bed. The boxes are large enough to fit things in but small enough for them to be able to lift themselves. You can use them either stacked up to two boxes high or just singularly, they are just so versatile. I like the girl's bedrooms to feel calm when I put them to bed. The boxes have really helped tidy up the space and are just super handy and easy to move around to where you need a bit of extra storage. We have them in confetti spot but they come in lots of other patterns too. Lottie's room is the smallest room in the house and with her cot and wardrobe in the room there isn't space for much else. I wanted her to have some toys in her room too so we have added the Poppins Toy Chest with the Confetti Spot seat cushion to the end of her bed. It's a great bit of furniture for a children's room and works as a three in one - it's a seat, chest and also has a drawer. It has a really good safety hinge so I don't have to worry about her trapping her fingers in it and the drawer has a soft close mechanism. It's a really unobtrusive, well made piece of furniture but with loads of space to store toys. The drawer is perfect for things like puzzles or games and smaller toys while the main chest can accommodate bigger things. You could use it for lots of other things besides toys, storing things like nappies blankets and towels in. The seat cover is a lovely addition and Lottie loves hopping up onto it to read a book or play on top of it. The seat cover is machine washable and zips on and off really easily. I love that it's 100% cotton too. Again this has been a really simple change which has altered the feel and functionality of Lottie's room and also freed up space in other parts of the house as we've been able to move some of the toys from downstairs upstairs. Great Little Trading Company have so many fab solutions for creating stylish and practical children's rooms and we love their products for making our house a home. You can find all the items above and the rest of their range HERE. * This is a collaborative post as part of our GLTC Testing Team role. We were kindly gifted the items featured in exchange for an honest review. Looking to create a fun and functional playroom? Take a look at our playroom for some inspiration. You may also be interested in our review of the GLTC Abbeville Storage Bench.